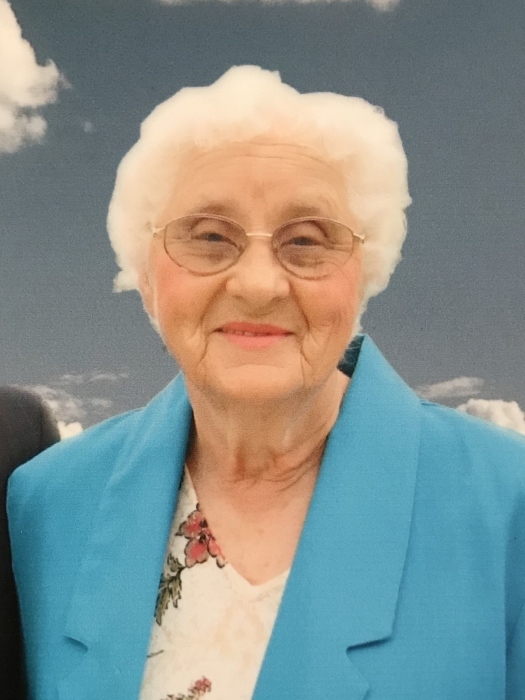 Obituary for Loretta Jane (Kemp) Burkholder | Price Funeral Service, Inc.
Loretta Jane Burkholder, 86, of Garrett, died peacefully October 7, 2018 at her home surrounded by her family. She was born January 7, 1932 in Springs, the daughter of Irvin and Lulu (Durst) Kemp. Preceded in death by parents; sisters: Margaret Holler and Marian Garlitz, and brothers: Eugene, Robert, Jack, and Donald Kemp. She is survived by her devoted and loving husband Libert John Burkholder, only daughter, Sherry L. Brant and her husband James S. Brant; granddaughters: Julie Vega, Jill Brant and Jacilynn Brant; great-grandchildren: Malachi, Nickolas, Broderick Murray, Elle and Reid Mechling, step-great-granddaughters: Zenia, Serena and Kaile Vega and their children; and great, great-grandson Caden Murray. Also surviving are her sisters: Betty Bolden, Jean Smith and special sister-in-law Kay Kemp. Loretta was raised in Salisbury Pa., she married Libert on July 1, 1950. The family settled at their home in Garrett in 1955. She worked at Meyersdale Manufacturing as a trimmer for many years. Loretta also traveled with her husband for his work, making temporary homes wherever he was assigned. Loretta shaped and held her family together, supporting each and every one of us. Whether she was caring for sick kids, sewing Barbie blankets, hemming jeans, or butchering Pap’s prize buck, she was always there. She spent many hours cooking and preparing for holidays and Sunday dinners. In addition to using her creativity in quilt-making or ceramics, she could often be found in her garden, canning, or working to keep her home pristine. We will miss her giggle, her quick wit, and the comfort we all felt from being near her. At her request, there will be no service. Arrangements by Price Funeral Service, Meyersdale. Interment of ashes at Highland Cemetery, Garrett. Donations may be made in Loretta’s memory to: Heartland Hospice 1590 N. Center Ave, Somerset PA 15501.